The most striking trademark of Holmes is his unique double-flapped hat. As a matter of fact, it is a hat used by hunters. Its fabric is wadded wool, and its shape is peculiar: there is a rim both on its front and on its back, it has two flaps hold together by a stylish ribbon on the top. In Young Sherlock Holmes (1985) the title character wears a deerstalker that belongs to a bohemian university professor who is an inventor. Holmes respects him very much, that is why he dons the hat and he doesn’t care about those who laugh at him because of his headgear. 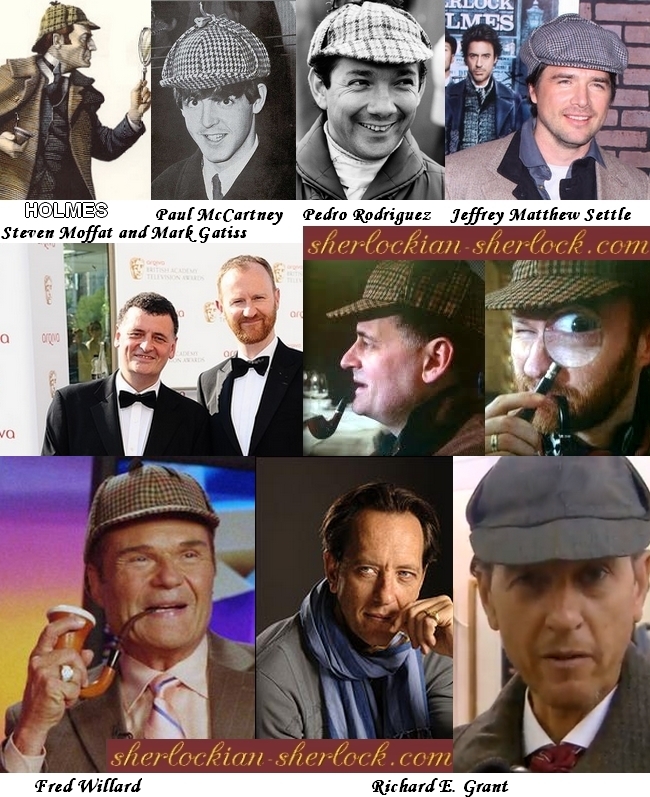 Today the Sherlockian world respects Sidney Paget because of his habit of wearing a deerstalker. His daughter Winifred told her father did not wear the deerstalker because he liked to hunt – his reason was that this kind of hat was comfortable for country life. And he gave a deerstalker to Holmes because the sleuth hunted for criminals. For a deeper analysis on the personality of the detective read our article on Alexander the Great. 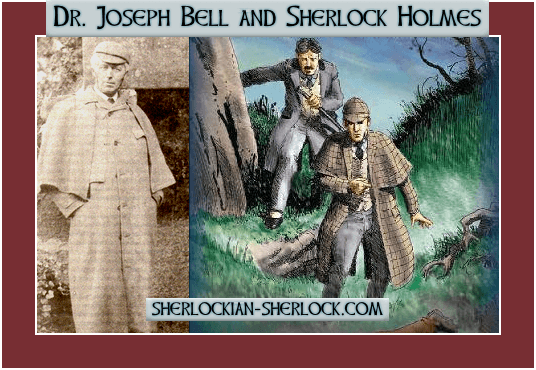 The shape of the famous detective's deerstalker is similar to the cap policemen wear. Because of this their silhouette resembles as well. This similarity could result in the fact that criminals feared the sleuth. Though Holmes is not a member of the official police, his clothes show that he takes his profession seriously. At the same time his clothes make him unique - nobody else wears the deerstalker for criminal investigation. 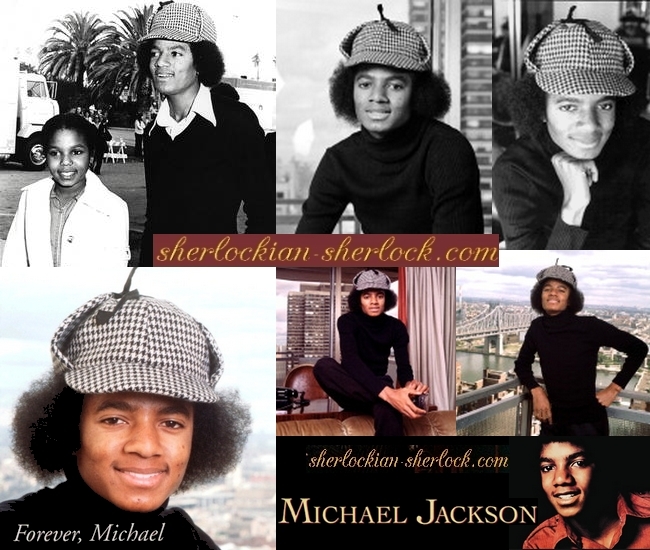 It is believed that Sherlock’s hat was originally grey, without patterns, but in the course of time brown, chequered and other versions (black, for example) became popular too. The chequered one was useful as cover-up during hunting, and it looked special on screen. Holmes donned his deerstalker only in the country, in the city he wore a hat or top hat. Unfortunately some adaptations pay no attention to this, so the detective treads the streets of London wearing a deerstalker. "Holmes sent off a short wire, and for the rest of the drive lay back in the cab with his hat tilted over his nose to keep the sun from his face." - quote from The Cardboard Box. Matt Frewer's Sherlock Holmes wore his cap in London. 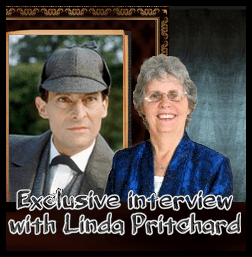 Jeremy Brett used thicker and thinner versions of the deerstalker while shooting the Granada series (The studio respected the habit of deerstalker wearing.). Since Holmes is the picture of logic, nowadays this type of hat symbolizes learning or refers to the brilliant detective. In the modern BBC Sherlock series the deerstalker appears as a kind of gag. This series unfortunately does the deerstalker lots of wrong. First of all, Sherlock (Benedict Cumberbatch) steals it. It is the subject of loathing and hate, and the situation doesn't get better later. The cap will be the instrument of sensationalism and splurge - none of these typify the canonical Holmes. Many famous people wore this hat. We do not form any opinion on them, we only indicate the fact that they wore the cap. that slightly differs from the traditional deerstalker. 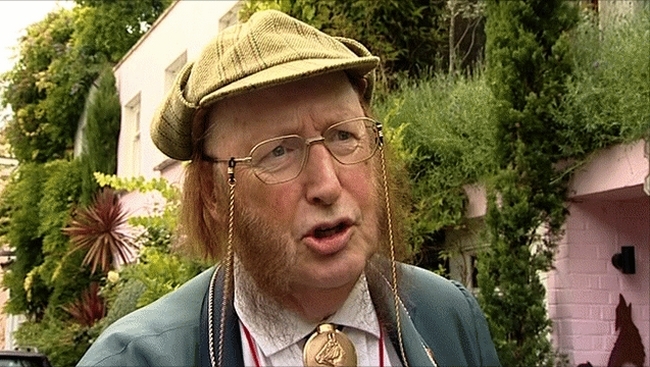 John McCririck is an English television horse racing expert. His signature, flamboyant attire of large deerstalker hat, sideburns and brightly-coloured, matching suits and trousers, coupled with huge cigars became a recognisable personal style. Thomas Brezina is an Austrian writer of children's books. The deerstalker is really comfortable. It protects from sunlight, wind and rain. It does not ruffle your hair and it is durable. -	for sleeping, as eye-shade. Never forget that you can hide some secret things in this useful head-gear. Everybody needs a Sherlock Holmes cap.
" 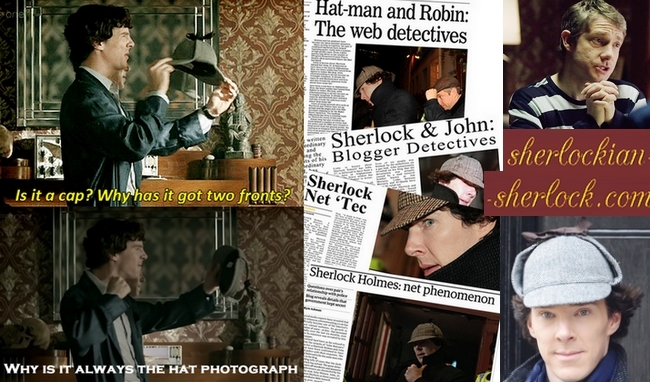 The deerstalker of Sherlock Holmes "